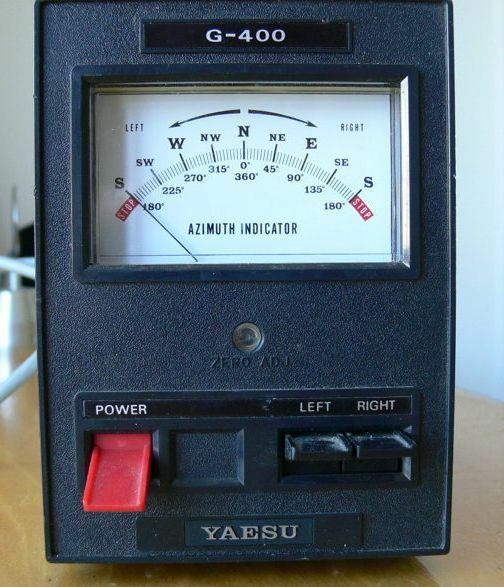 I have a spare meter and control PCB for a Kenpro KR-400 Azimuth rotator after I modified mine to digital leaving the analogue meter and PCB surplus to requirements. The meter has a south-stop scale.The PCB is for the metered version of the rotator, NOT the RC (Round Controller) version. The manual for the wiring is available from many sources online. However I can mark the wires up if you need help with this.